In my last article, I showed you how to build a working dashboard for Docker. This dashboard would show you which containers are currently running, allow you to start and stop them, and to create new ones. The application was pretty basic but its purpose was to exercise your skills with React, TypeScript, and Socket.IO. It wasn't just another React tutorial; it demonstrated how to build something useful using the technologies you're trying to learn. So, in this article — the first of a two-part series — we build the application, which won't be as complex as the Docker Dashboard, but it will be more or less complete. In part two, we employ some modern techniques to progressively enhance the application and really bring it into its own. "Look how easy it is to create a Kanban board with drag and drop support." The only prerequisite you need to follow along with this article is the latest version of NodeJS. I'm using version 10.9.0. The main driver regarding the version of Node is vue-cli; it says you can use anything from Node 4.0 and above, but 6.0 and above is preferred. To get started with the application, we're going to use Vue CLI 2. This will generate our base application for us, including setting up Webpack with everything that we need. For this tutorial, we won't really need to go into the Webpack configuration, or really interact with Webpack at all—the default configuration is all fine for us. I called mine kanban-board, but you can call it anything you want. Next, invoke the Vue.js command line interface. This tool will walk us through a series of questions to set up our project. We can leave most of them as the default, but let's opt not to create unit or E2E tests for this demo. Also, let's chose the AirBnb ESLint preset, but we will be modifying some of the rules. Next, run $ npm install to install the required Node packages. Then $ npm run dev to get the project running and to ensure that we've got a good baseline. 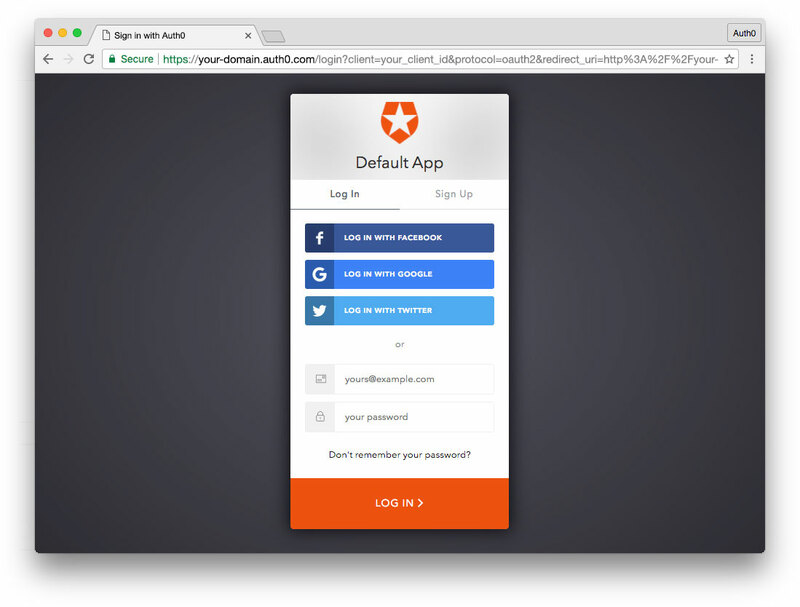 Now, browse to http://localhost:8080 - all things being well, you should see a boilerplate 'Welcome to your Vue.js App' page. As any changes we make will automatically be recompiled and sent to the browser, you can leave the application running at this point. Now that we've got a template application up and running, the first thing we're going to do is get rid of the stuff that we don't need. Most of the time, we're going to be changing the component files that live in the src folder, with maybe a couple of changes to the index.html file in the root. First of all, delete the src/components/HelloWorld.vue file, as we won't be using that at all. We're going to come back here later and fill in some chrome to make it look a bit nicer. Right now, if we look at our application in the browser, we should just see a blank page. This is fine—we're going to start filling in some UI in just a moment. For now, we have a nice base to start creating our Kanban board. Let's get our header and base styles in place. For this app, we will use Bootstrap v4 through one of the smart Bootswatch themes. From there, we will choose the Superhero theme, but there are some other nice options available as well. To insert it into our app, let's include the link from BootstrapCDN to the chosen theme and put that into the index.html file. Later, we will also want to grab a couple of fancy icons from FontAwesome. Fortunately, MaxCDN also provides access to this icon library, so let's get that link too. Note: you will need to refresh the page in the browser to see these changes, as they will not be picked up automatically by Webpack. and a list of backlog items. As we're starting to talk about adding and listing pieces of data, it's time to talk about how we're going to store and retrieve this data. For this app, we will use Vuex. From their intro page, "Vuex is a state management pattern + library for Vue.js applications". Sounds ideal! It essentially allows us to store and mutate data in a central place and make the data available to all of our components. When the data changes (mutates) our components will be re-rendered. We're going to use a Vuex Store to hold information about the backlog items we've added, plus a couple of other pieces of data such as the next available item ID. Here, we import the main Vue object and the Vuex plugin which is then added to Vue via the Vue.use(Vuex) call. This allows each component to get access to the store to interact with the data. The store itself becomes initialised with some state which stores the list of to-do items and the nextId to be used when a new item is created. Right now, we have a basic, working store that we can use to orchestrate the data for our application. It's not much use at the moment as we can't mutate the data yet. So, let's fix that now and turn our attention to the form that allows us to create new backlog items. First of all, let's create the backlog view. Our finished application is effectively going to have two pages: Board and Backlog. We're going to use the Vue Router to switch between these two pages and give users a nice Single Page App (SPA) experience with navigable history. After that, we can start by creating the board view which will house the other components, such as the form to create new items and the list of items itself. Then, we can wire up this component to the Router. Now, when users access our Vue.js application in a browser, they should automatically be redirected to /#/backlog and they should see the text 'Backlog' underneath the main heading content. Neat! The form has a v-on binding so that we can handle the form's submit event. This event is also suffixed with .prevent to prevent the event from firing its default action. This is a handy idiom for calling preventDefault() on the event object we would otherwise be working with if we were doing things manually. The textbox is bound to the itemText property via the v-model binding. This allows us to retrieve the text that the user types in. We give the component a name of NewItemForm. We specify the data for this component as a function data() and, for this component, the only piece of data we have is itemText. If you look back at the markup, you'll notice that the v-model attribute on the textbox is bound to itemText, meaning that when the user changes the textbox value, itemText will contain whatever they typed in. We then have a method called submitForm() to handle the user submitting the form. This is where we can send new data to the store via mutations. Here, we want to invoke a mutation called addItem and we set the text property to the value of itemText. Finally, we clear the value of itemText so that the user can enter another item. Right now, we will find that we can type something into the box, hit 'enter' on our keyboard to submit the form, and the value in the textbox disappears. At this point, the value that we entered should have been submitted to the store, but keen eyes will notice an error in the console: [vuex] unknown mutation type: addItem. We get that because the store has no idea what to do with that mutation, which isn't surprising as we haven't written it yet! Here we have a mutation called addItem which is a simple function that takes the current state and an item as an argument. Then, we push it to state.items.todo, using Object.assign to augment the item with an id value, and we increment nextId so that the next time we add an item, it gets a new id value. Also, notice the directive at the top of the example to disable the ESLint rule no-param-reassign; the call to increment the id value causes an issue with the ruleset, but it's ok just turning that rule off in this case. The benefits of just being able to call state.nextId += 1 outweigh the rule. So, right now, we can put new items into the backlog but, unfortunately, we can't actually see them yet. We will address that in the next part - the Backlog component. Essentially the backlog component is just a styled list of to-do items. Later, we're going to attribute each item to a status ("To-do", "In progress", or "Done") but, for now, let's just get the list on the screen. Re-open the Backlog.vue. The first thing we're going to do is connect to the store to retrieve our data. Vuex provides a simple way to do this using its mapState function. Then, we can provide an additional function to retrieve what we want from the store. We're going to retrieve the data inside a Computed Property. Computed properties are properties that are usually composed together from other properties, by listening for changes to those properties. Whenever one of those dependent properties change, the computed property will recompute its own value and notify its own subscribers that the value has changed. At this point, we should be able to type something into your form textbox, hit the 'enter' key and see a list of backlog items appearing underneath. Let's start having a look at the board view of our items. In a more feature-rich project tracking products (such as Jira), the user is able to customise the 'lanes'—columns that work items can be dropped into—but for our simple application, we're going to hard-code three lanes to begin with: 'To-Do', 'In progress', and 'Done'. Allowing the user to customise these lanes is left as an exercise for you, the reader! We can start by adding the board page which will eventually contain the UI for our kanban board UI. We'll leave it empty for now, but let's get the navigation and routing sorted first. Now, we should be able to test the route out by changing the url in the browser to /#/board and get to our new kanban board view. Obviously, we don't want the user to have to change the url manually when they want to switch pages. As such, let's add some buttons to make it easier for them. Now, we should have a couple of links we can click to navigate between the pages. Neat! They don't look great though. So, let's make them actual buttons. We're going to add the standard Bootstrap button classes. However, we're going to do it in such a way that will highlight the current page that the user is on. We can dynamically change the style depending on the current route. If we reload the app now, we'll find that our menubar will not only have some nice button styles, but it will be easy to tell which page we're on! We can now begin to think about how we're going to show the tasks in columns on the Kanban board. As mentioned previously, for our demo app we're going to have three lanes: To-do, In progress and Done. From a code perspective, each lane is going to look and behave exactly the same way, which makes it a good candidate for a component. Each lane component is simply going to be given a list of tasks to show, and some text to show in the header. The component itself will take care of the rest. This way we can easily duplicate that behaviour across our three task lanes. Furthermore, each item in the lane has its own markup and can be split down into another component: TaskLaneItem. This helps keep the markup clean and allows for adding more complex functionality later. Here we've used the markup for Bootstrap's Card component, which suits this application rather well. Also, we've specified a header, which is populated by reading the title prop, loops through the items prop inside the body of the card, and then writes out the number of tasks in the footer by reading itemCount. This last props, as we'll see in a minute, is a computed property of the component. Here, three props are being registered: a designated identifier for the lane in id, the list of tasks in items and the title of the lane. The id prop will become important later when we write the code that allows items to be moved between different lanes. Besides that, we are also importing the TaskLaneItem component (coming next). At the bottom, we can also see a computed property which decides what the footer text should be. It simply works out a friendly way to display the number of tasks based on how many tasks there are. Simple enough, but it does demonstrate how we can 'compute' what a bound value should be based on other dependent properties. This is a very simple component that gets given the item that it should display and simply renders out the item id and the item text - again using Bootstrap's Card component. There's no computed magic here or any other functionality, but it allows us to separate out the markup from the task lane, keeping it cleaner. This shouldn't look too unfamiliar compared to the other components we've just made. We first import mapState and the TaskLane component, then we defined our KanbanBoard component, register our TaskLane component, and then define a computed property todoItems which reads the items.todo property from the Vuex state. We'll have another couple of computed properties in here later when we start defining our lanes for our 'in progress' and 'done' items. More on that in a bit. Right now, we should be able to add a new item into the backlog using the Backlog view, switch over to the Kanban board and see the same item inside the 'To-Do' column. Nice one! From this point, creating the 'In progress' and 'Done' lanes is a simple extension of what we've already done. In the Vuex store, we have a todo array that stores the items in the To-do lane, so we can follow a similar pattern for the other two lanes we're going to implement. We're now at a stage where we have our three task lanes on screen! The final step is to enable the user to change the lane that a task is assigned to; let's look at how we can do that now. For our app, we're going to enable users to simply drag tasks between the different lanes. Doing this will update the collection inside the Vuex store that the task belongs to. As an additional nicety, we're also going to show a coloured label beside the task on the backlog screen so that it's easy to identify the 'status' of the task when we're not on the Kanban board itself. To get the dragging working, we're going to make use of the vue-draggable component, which is based on the popular SortableJS library. The way that this works is that we wrap the containers that contain the things we want to drag inside the Vue Draggable component, telling it which array from the Vuex store that it should manipulate. When we drag an item from one container to another, the component will send us an updated list of items that we can then commit to our Vuex store. Here, the existing <div v-for...> element is wrapped in this new draggable component. We've set the model for this to be this thing called draggables and we've also set an option for the group to be the value default. These options are simply passed straight through to the underlying SortableJS instance (with the exception of some event handlers). Setting the group name is what allows items to be dragged from one list to another (from the SortableJS documentation). Since we've got multiple task lanes all with their own Draggable component but with the same group name, we're able to drag task items between them! If we wanted to prevent tasks from being dragged into specific lanes, it follows that we would give them different group names to facilitate that feature. If we load up the app now, we'll find that we'll be able to drag items from one lane to another - neat! However, notice that when you switch back to the Backlog view then return to the Kanban board, it hasn't remembered the positions of the tasks and you'll see them all sitting back in the To-Do lane, as they were originally. Let's fix that now by using a computed property to fetch the items. We've already used a computed property in a previous component, but this one is slightly different as we're going to tightly control what happens when you get and set that property. When the items are retrieved (get), we'll simply return the items prop that was given to the TaskLane component to render. When the items are put back (set), we'll commit those items back to the Vuex store. This is where the draggables symbol comes in from our markup - it refers to our new computed property. Pretty simple. If we look back at the Kanban board template, we'll see that each lane is given an id value. That id matches up (intentionally) with the array symbol in the store so that it becomes trivial to update the list dynamically without too much data overhead. This solution is not scalable nor the best idea in the world, but it's fine for our pet project. Now, when we play about with your application you'll find that you'll be able to drag task items around into different lanes, and now that we're updating the Vuex store whenever we change something, their new positions will be saved when you move between the different pages. I neat side effect if this is that you can change the order of tasks within a single lane, and that detail is remembered too! However, if we move some items from the 'To-Do' lane into one of the other two lanes and then switch back to the Backlog view, the final problem will become obvious; the items that we moved out of the 'To-Do' lane are missing. Let's fix that up now. and put some badges on the tasks in the list so that we can easily see at a glance which lane they're in. This will effectively concatenate the three arrays together into one, making use of the nice new ES6 syntax. If we refresh the Backlog view now, create some new backlog items and then switch to the board view and move the items into different lanes, we'll find that all of the items will now continue to appear in the backlog view. On the final step, we're going to put some badges on the items in the backlog view to highlight which lane they're currently in. To achieve this, we'll add in new methods to our component that return the text and badge classes for the correct lane, given an item. We can see the span itself has a couple of dynamic elements in there which find out the class and the text for the badge. If we try and refresh the page now, we'll find that things start to break, primarily because we haven't defined what badgeClass and badgeText are yet. It's simply a map which says "Given this lane id, return the text and the class". We can define this inside the script tag for the Backlog component, but outside of the component definition itself. The next thing to do is define a method which will return the lane id given an item. It's a very crude implementation which simply finds out which item array the item is in and returns the id. This will not scale to a large set of items, but it's perfectly fine for our toy application. It first checks to see if the given item is in this.$store.state.items.todo and, if so, returns an id of 'todo'. This should map directly into the badgeDetail map that we defined earlier. Then it tries the inProgress list, and then simply returns 'done' as a default if the item wasn't found in the other two lists. Pretty simple! It gets the lane id from this.itemLane and then uses that to look up the badgeDetail map, returning the text property. Pretty much exactly the same, except we're looking at the class property instead of the text property. If we look at our Kanban board now, we should have nicely-coloured badges on all of our items to indicate which lane they're in at a glance. Neat! "I just built a Kanban board with Vue.js!" That brings this tutorial to a close, giving us our very own Kanban board with which to plan our next project! Ok, so it's pretty basic but it gets the job done. From here you can progress to part two where we progressively enhance this application with offline capabilities, home screen icons, and some data storage!